The Apostolic Delegation was established in Canada by Pope Leo XIII on August 3, 1899; and the Nunciature by Pope Paul VI on October 16, 1969 in the Apostolic Letter Quam Multum. Born in the Diocese of Armagh, Ireland in 1832. Theological studies in Rome at the College of Propaganda, where he was ordained a priest in 1856. 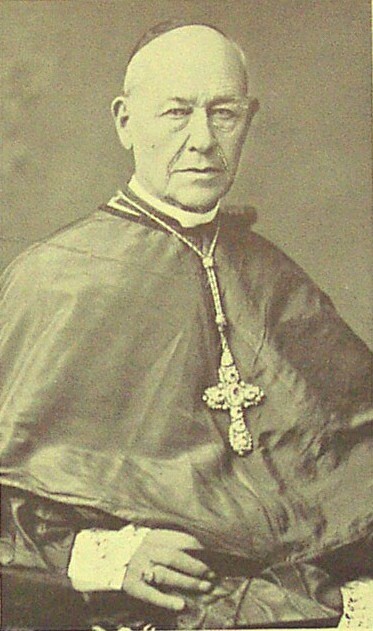 Recalled to Ireland by Cardinal Cullen, Archbishop of Dublin, he was Professor and Director of All-Hallows Seminary (1856 to 1866), then at Clonliffe College until April 1871. Elected Bishop of Ardagh and Clonmacnois, and consecrated in 1871. Born in Mol, Antwerp, Belgium on May 13, 1826. He did his classical studies in his hometown. He joined the Cistercians of the Common Observance on December 17, 1843, made his profession on December 22, 1844, and was ordained a priest on May 25, 1850. A student in Rome from 1855 to 1858, he received his doctorate in Theology. He then taught Philosophy and Theology at San Bernardo alle Terme in Rome, a house of his order. Appointed Consultor of the Congregation of the Index in 1859. Professor of Dogma at Bornhem from 1862 to 1870. General Secretary of his order, he officially visited the monasteries of France in 1863 and those of Belgium and Austria-Hungary in 1867. Attorney General of the Order in Rome in 1870. Elected, then made Titular Abbot of Val del Ponte in Rome on May 9, 1878. Consultor of the Congregation of Propaganda from 1880 to 1882, and the Congregation of the Oriental Rite from 1882 to 1883. Appointed by Pope Leo XIII Apostolic Commissioner to Canada and charged with making an investigation of Laval University in Quebec City and its branch office in Montreal, he arrived in Canada in November 1883 and returned near the end of December 1884. He was then appointed Consultor of the Congregation of Bishops and Regulars in 1887, and of the Congregation of the Council in 1889. Died in Rome on June 28, 1892, at age 65. Born in London on October 10, 1865, of a Spanish father, the Marquis Merry del Val, at that time an embassy Secretary, and a mother of English origin, Lady Sophia Wilcox. Primary studies in England and Belgium. Studied at the Academy of Ecclesiastical Nobles in Rome in 1884. Ordained a priest in Rome on October 30, 1888. Honored as a Monsignor almost immediately. Sent to Canada in 1897 by Leo XIII, on a special mission to study the issue of Manitoba schools. He was not yet a bishop and was only 32 years old. Returning to Rome after four months in Canada, Msgr. 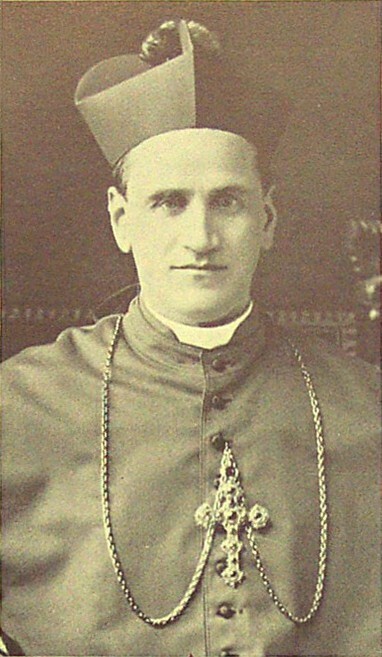 Merry del Val, at first, was President of the Academy of Ecclesiastical Nobles in October 1899, and was soon appointed Titular Archbishop of Nicaea on April 19, 1900. He was consecrated on May 6 by Cardinal Rampolla. He represented the Pope at the coronation of Edward VII in London in June 1902. Secretary of the conclave in July 1903 which elected Pius X, he was appointed Pro-Secretary of State on August 4. Created Cardinal with the priestly title of Saint Praxedes on November 9, 1903 and appointed on the same day Secretary of State to Pius X, and during his pontificate, had a brilliant career. He was appointed Archpriest of the Vatican Basilica by Pope Pius X on January 12, 1914. Upon the death of Pius X on August 20, 1914, he ceased to be Secretary of State. Benedict XV, elected on September 3, appointed him Secretary of the Holy Office on October 14, 1914. He was Papal Legate of Pius XI in Assisi in 1926. Born in Pescocostanzo, in the region of the Abbey of Monte Cassino, on September 20, 1842. He entered the Order said to be of Saint Francis on September 2, 1860 and made his full profession on February 26, 1865. A Missionary to the United States, he was ordained a priest in Buffalo by Bishop Timon on January 3, 1866. Successively Professor of Philosophy and Vice-President of the Franciscan College of Saint Bonaventure (NY), Professor of Theology and Secretary of the American Province in 1867, President of Saint Bonaventure’s College in 1868 (NY). Secretary to Most Rev. Carfagnini, Bishop of Harbour Grace, Newfoundland, from 1868 to 1882. Provincial of the Franciscans in Abruzzo in 1884. A Synodal Visitor and Examiner, then Attorney General. Born in Montefranco, in the Diocese of Spoleto, Italy, on November 12, 1856. Ordained a priest in Rome on April 11, 1879. Professor of Morals, then minutante for the American affairs section of the Congregation for Propaganda. He was Auditor of the Apostolic Delegation in Washington, D.C. in January 1893. Elected Bishop of Havana on January 9, 1900 and consecrated under this title in Washington, D.C. by Archbishop Martinelli on February 4. Promoted to Titular Archbishop of Gortyna on September 16, 1901, then moved to Ephesus on December 16 of that year. Apostolic Delegate to Canada on December 6, 1901. He chaired the Plenary Council of Quebec in September 1909. He remained in Canada until November 3, 1910. Upon his return to Rome, he was appointed Auditor to one of the Pontifical Congregations. Assessor of the Holy Office on June 8, 1914. 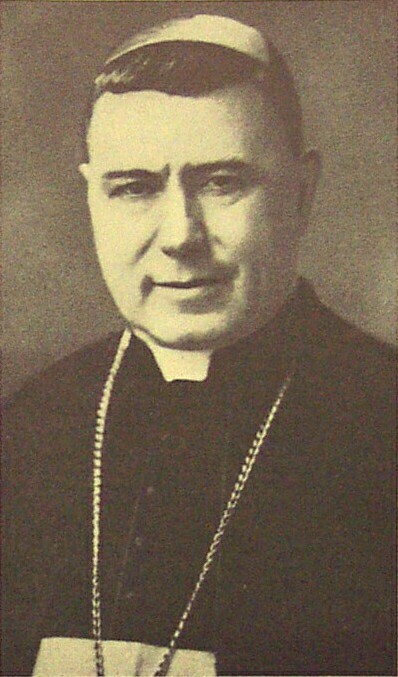 Born in Badrio, in the Diocese of Bologna, on April 2, 1852. He joined the Servites (Servants of Mary) in Monte Senario, Florence, in 1874, and took his vows on June 22, 1875. Ordained a priest in London in a convent of his order on September 24, 1881, and a professor in London from 1881 to 1883. A student of theology in Rome from 1883 to 1885. Back in London, he received the offices of Master of Novices, then Pastor from 1885 to 1893. Professor of Philosophy at the College of Propaganda in Rome from 1894 to 1901. Qualifier of the Congregation of the Holy Office on August 6, 1898, and Consultor until 1908. Prior General of the Servites in 1901. Elected Archbishop of Aquila on February 18, 1907 and consecrated as such in the Church of Santa Maria in Via in Rome by Cardinal Gennari on the following May 28. Inducted on April 9, 1908. Appointed Apostolic Delegate to Canada on November 3, 1910. Arrived in Ottawa on March 24, 1911 and remained there until April 1918. Meanwhile, he was transferred to the Titular See of Ancyra on January 21, 1916. Died in Rome on September 23, 1918, at the age of 66. Born in Moliterno, in the Diocese of Marsico Nuovo, Italy, on August 3, 1865. He studied at this city’s seminary, then at the Pontifical Seminary in Rome. Ordained a priest on May 23, 1891. Minutante to the Congregation for Propaganda; Vice-President of Urban College; Chaplain of Saint Agnes. Secret Chamberlain in 1901 and Rector of the Bohemian College; Professor of Theology at the College of Propaganda. 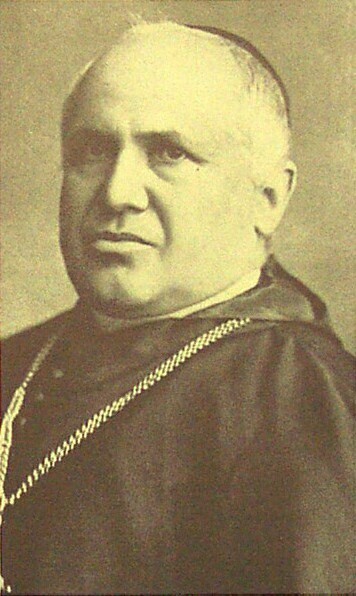 Elected Bishop of Catanzaro on December 6, 1906. Consecrated under that title at the Bohemian College by Cardinal Merry del Val on December 30. Promoted to Archbishop of Iconium on June 11, 1918 and appointed Apostolic Delegate to Canada and Newfoundland. Published in the Consistory of March 10, 1919. He came to Canada on October 18, 1918. 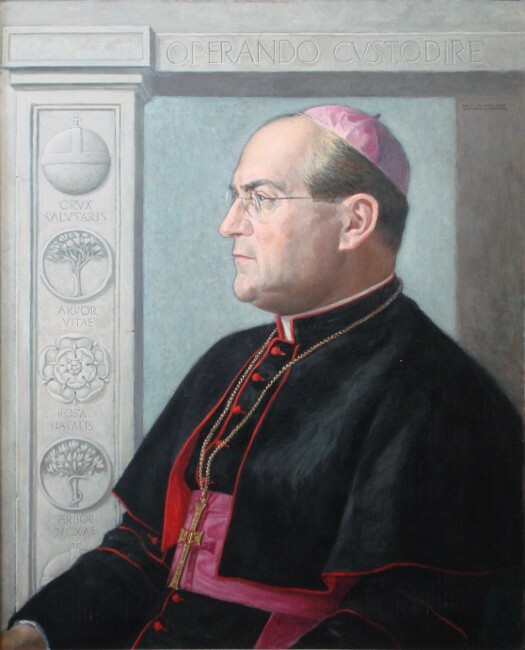 Appointed Apostolic Nuncio to Berne, Switzerland on June 3, 1926. Submitting his resignation in 1935, he retired to Rome. Died in Potenza, Italy on May 3, 1938, at the age of 73. Born in Castelletto d’Orba, in the Diocese of Tortona, Italy, on November 30, 1869 of Joseph Cassulo and Maria Massone. Classical studies with the Scolopi Fathers in Ovada, at Saint George College in Novi Ligure; theological studies at the Seminary of Chiavari, where he graduated in 1898 with his doctorate from the College of Saint Thomas Aquinas. Ordained a priest on December 23, 1893. Secretary to Bishop Mistrangelo in Pontremoli from 1893 to 1899, then in Florence from 1899 to 1911. 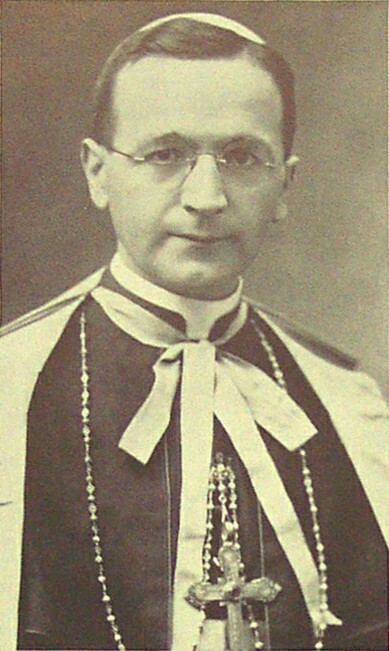 Canon in 1904, Vicar General in 1911. 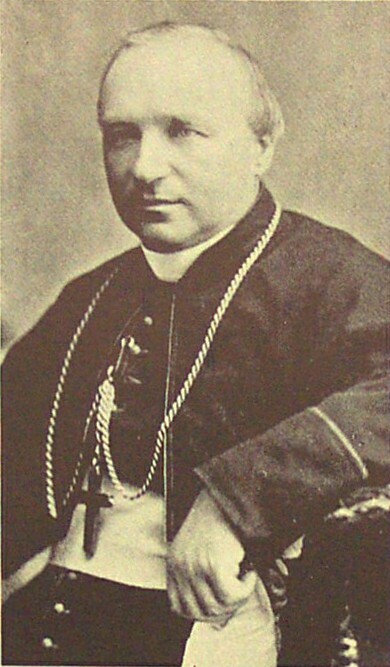 Elected Bishop of Fabriano and Matelica on April 15, 1914. Consecrated as such in the Cathedral of Florence by Cardinal Mistrangelo on the following May 14. Inducted on September 10, 1914. He resigned on January 24, 1921 and was promoted to the Titular See of Leontopolis, and appointed Apostolic Delegate to Egypt. Apostolic Delegate to Canada and Newfoundland on May 7, 1927. Arrived in Ottawa on July 16. Born in Nimis, in the Diocese of Udine, Italy, on August 3, 1898. Studies at Udine Seminary, at the Lateran University Rome, and at the Faculty of Law at the Palace of Saint Apollinaris. Ordained a priest in Udine by Most Rev. A. 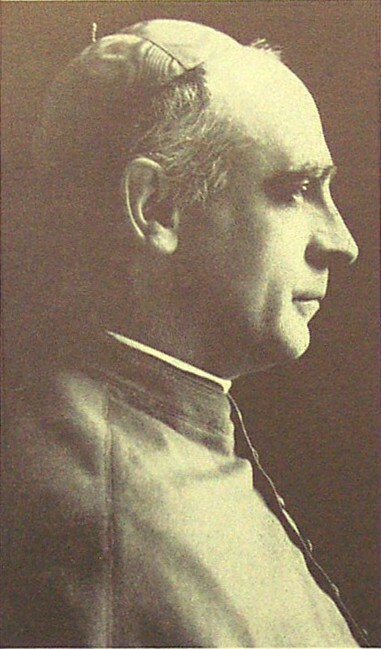 A. Rossi, Archbishop of that city, on December 6, 1920. From 1920 to 1927, Secretary to the Archbishop of Udine and a seminary professor in the same city. From 1927 to 1934, he was with the Apostolic Delegation in China: as secretary from 1927 to 1931 and as auditor from 1931 to 1934. Privy Chamberlain of His Holiness on September 24, 1931. Auditor and Abbreviator at the Apostolic Nunciature in Lisbon, Portugal from 1934 to 1936. Elected Titular Archbishop of Synnada by Pope Pius XI and Apostolic Delegate to Albania on May 19, 1936. Most Rev. Antoniutti was consecrated under this title in Rome by Cardinal Fumasoni-Biondi, assisted by Most Rev. 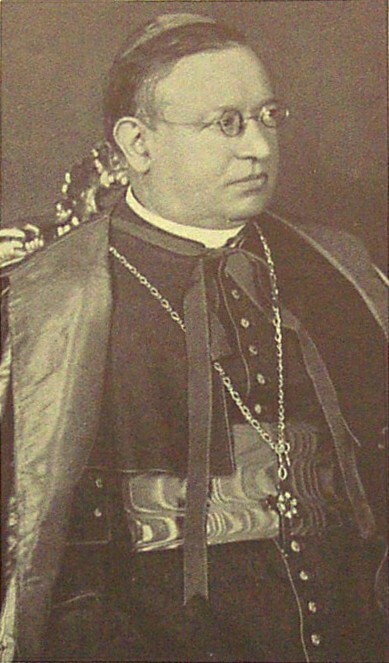 Antonio Anastasio Rossi, Titular Patriarch of Constantinople and Most Rev. Constantini, Secretary of the Congregation for Propaganda, on the following June 29. In July 1937 he was sent to nationalist Spain on special mission. In September of that year he was appointed Chargé d’Affaires of the Holy See to the national government. He presented his credentials to General Franco in Burgos on October 7, 1937. Born in Tricase, in the Province of Lecce, Italy, on April 12, 1895, of Carmine Panico and Marina Zocco. Studied at the Leonine College and Pontifical Roman Seminary. Ordained to the priesthood on March 14, 1919. Doctorates in Theology and in Canon and Civil Law from the Pontifical Lateran University. In 1926, he became the auditor of the Nunciature in Argentina, and later in Czechoslovakia. In 1932 he became Chargé d’affaires in Bavaria, and later in Czechoslovakia. He was appointed Apostolic Delegate to Australia and New Zealand and Titular Archbishop of Iustiniana Prima on October 17, 1935, and received episcopal ordination on the following December 8. 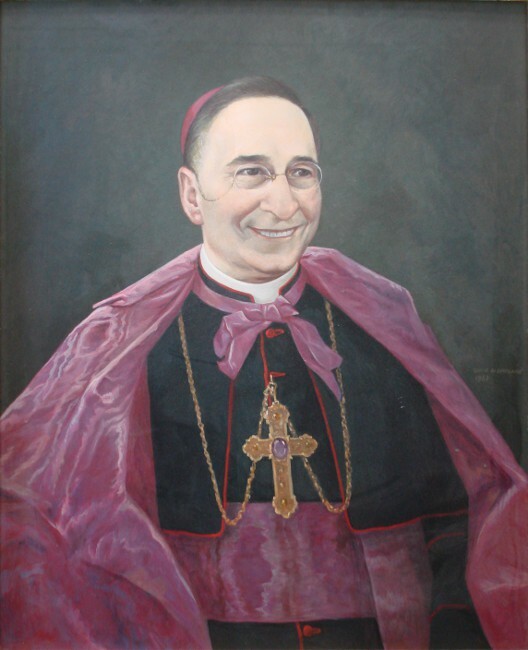 He was appointed Nuncio to Peru on on September 28, 1948, Apostolic Delegate to Canada on November 14, 1953, and Nuncio to Portugal on January 25, 1959. Motto: Respice stellam [Look to the Star]. Born in Rosà, in the Province of Vicenza, Italy, on May 16, 1913, of Giovanni Battista and Pierina Baggio. He studied at the Episcopal Seminary of Vicenza, the Gregorian Pontifical University in Rome, and the Pontifical Ecclesiastical Academy. Doctorate in Canon Law, and diplomas in Ecclesiastical Diplomacy, Paleography from the Vatican Secret Archives, and Library Science from the Vatican Library. He was ordained a priest in Vicenza on December 21, 1935. 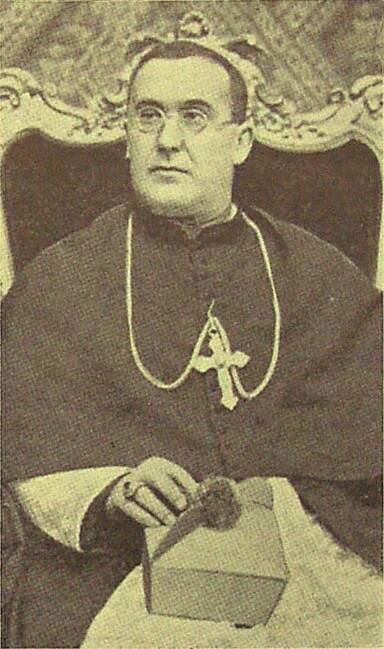 Beginning as an attaché at the Apostolic Nunciature in Vienna (1936), he held the following positions in the diplomatic service of the Holy See: Secretary of the Apostolic Nunciature in El Salvador, the same in Bolivia; Secretary and then Auditor of the Apostolic Nunciature in Venezuela; Attaché to Section I of the Secretary of State of His Holiness; Chargé d’Affaires ad interim of the Holy See in Colombia (1948-1950). In June 1950, he was appointed Substitute of the Sacred Consistorial Congregation. On June 30, 1950 he was appointed titular Archbishop of Ephesus and Apostolic Nuncio to Chile, and received episcopal consecration by the hands of Cardinal Piazza on July 26, 1953. 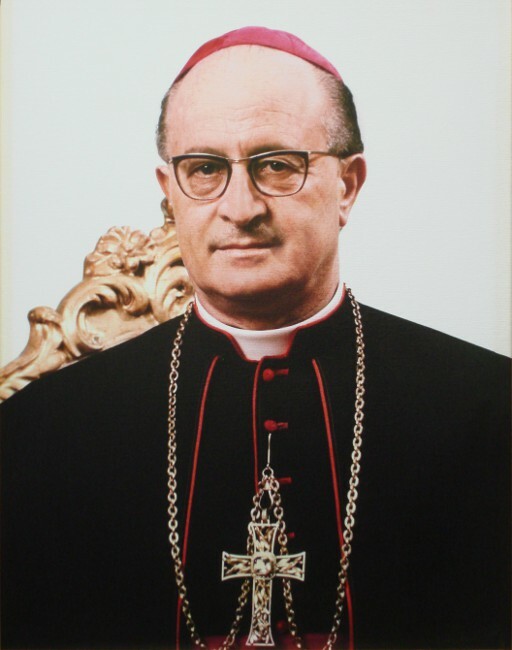 He was appointed Apostolic Delegate to Canada on March 12, 1959, and Apostolic Nuncio to Brazil on May 26, 1964. Born on June 4, 1910 in Felina, in the Province of Reggio Emilia, Italy, and Diocese of Reggio Emilia. Philosophical and theological studies at the seminary in Reggio Emilia. Doctor of Letters at the Catholic University of Milan. Licentiate in Ecclesiastical History at Gregorian University. Doctor of Canon Law at Lateran University. Ordained a priest on April 1, 1933, he served as Vice-Rector of the Major Seminary in Reggio Emilia. Spiritual Director of Students at Catholic University of Milan. Military chaplain during World War II (1940-1943). Assistant Chaplain-General of Italian Catholic Action. Chaplain General of the Italian Scout Association. Secretary of the Central Committee for the Holy Year of 1950. Born on May 18, 1911 in Milan, Italy. Studied at the Minor and Major Pontifical Seminaries of Rome, at the Lateran University and at the Diplomatic Ecclesiastical Academy. Doctor in Canon Law. Licentiate in Theology and Philosophy. Ordained a priest at Saint John Lateran in Rome on December 7, 1933. Diplomatic Secretary for the Secretariat of State of the Holy See (1939-1947). First Secretary at the Apostolic Delegation to the United States. (1947-1949). Counsellor and Chargé d’Affaires at the Apostolic Delegation of Australia, New Zealand and Oceania (1949-1954). Counsellor at the Apostolic Nunciature to France (1954-1958). Appointed Apostolic Internuncio to Pakistan in 1958. 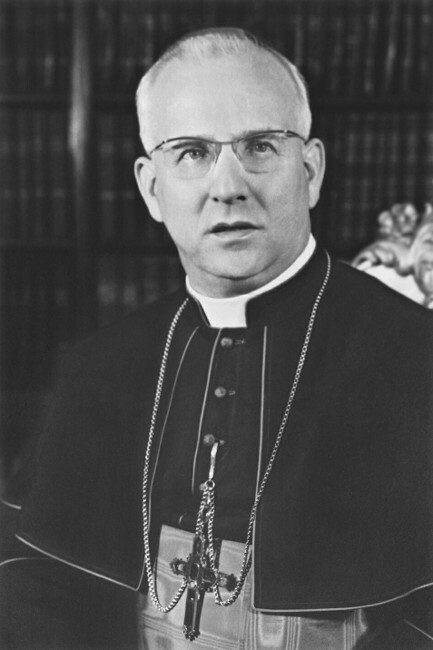 Appointed Titular Archbishop of Claudiopolis in Isauria and Apostolic Nuncio to Dominican Republic on October 5, 1961, and ordained to the Episcopate on October 29, 1961 in Rome. Appointed Apostolic Delegate to Canada on June 12, 1967 and Apostolic Nuncio to Canada on June 14, 1969. Appointed Pro-President of the Pontifical Commission for the Pastoral Care of Migrants and Itinerant People on March 19, 1970. He died on April 16, 2001, at the age of 89. Born in Banja Luka, Yugoslavia, on January 13, 1911. He was ordained a priest on April 11, 1936 for the Diocese of Gorizia and Gradisca in Italy. He holds doctorates in Philosophy, Theology and Canon Law. He served on the staffs of the Pontifical Missions in Yugoslavia, Lebanon, Romania, Syria, Indonesia and West Germany. Appointed Apostolic Delegate to Eastern Africa on October 3, 1959. Appointed Titular Archbishop of Tuscamia on October 28, 1961 and consecrated on the following December 31. 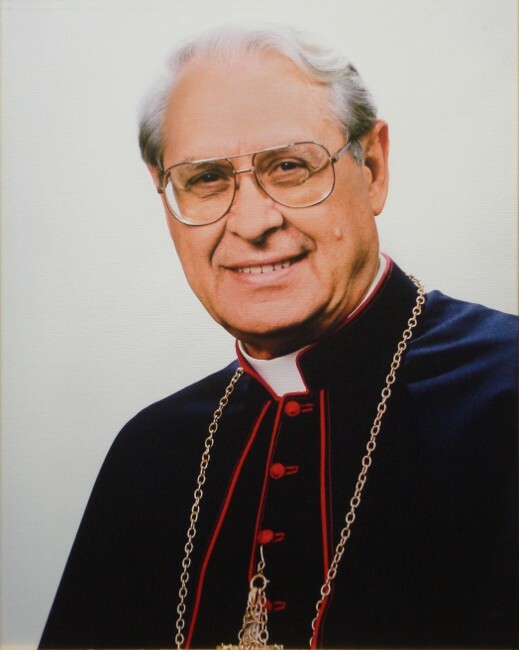 Appointed Apostolic Nuncio to Kenya in November 1965 and then Apostolic Delegate to Mexico on September 9, 1967. Appointed Apostolic Nuncio to Canada on June 20, 1970 and Apostolic Nuncio to Germany on August 12, 1975. Resigned in 1984 at the age of 73. Created a Cardinal and appointed Cardinal-Deacon of Sant’Eustachio at the Consistory of June 28, 1991. He died in Nuremburg, Germany on August 2, 1993, at the age of 82. Born in Villanova Monteleone, in the Province of Sassari, Italy, on December 21, 1914. He holds a Licentiate in Philosophy and a Doctorate in Theology and in Canon and Civil Law. Ordained a priest on August 15, 1938. He entered the Diplomatic Service of the Holy See in 1946 and served, in succession, at the Secretariate of State, in the Apostolic Nunciatures to Belgium, Switzerland and Lebanon, and again at the Secretariate of State. Appointed Titular Archbishop of Vibiana and Apostolic Delegate to Vietnam on June 17, 1964. Consecrated a Bishop on June 28, 1964. 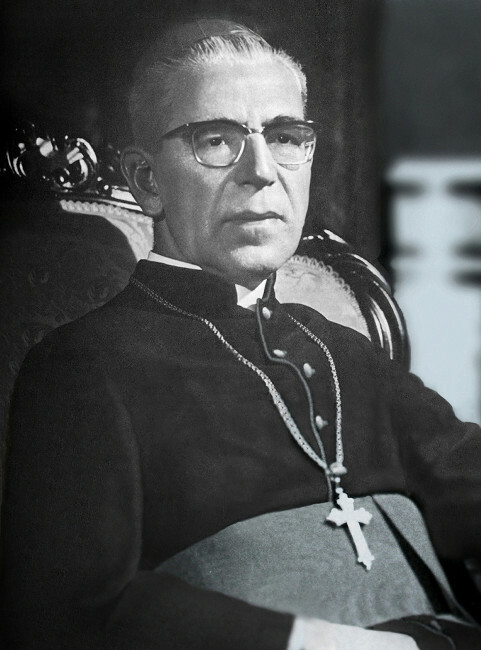 Appointed Apostolic Nuncio to Colombia on April 19, 1969. Appointed Apostolic Nuncio to Canada on September 2, 1975. Retired on March 10, 1990. He died on June 9, 2003, at the age of 88. Born in La Maddalena, Sardinia (Italy), on November 2, 1923, he was ordained to the priesthood for the Diocese of Tempio-Ampurias on July 13, 1947. A doctor in Canon Law, he entered the Diplomatic Service of the Holy See in 1956, serving successively in Uruguay, India, the United States of America and Italy. Born on February 20, 1938, in Acireale (Catania), on the Island of Sicily, Italy. He received a Licentiate in Theology from the Pontifical Gregorian University in Rome. Ordained a priest on March 18, 1961 for the Diocese of Acireale, he then served as Chaplain to youth in the Scouts movement and to the sick in the Diocese of Rome. He received a doctorate in Canon Law from the Pontifical Lateran University. In 1964, he was called to the Pontifical Ecclesiastical Academy and in 1967, he entered the Diplomatic Service of the Holy See. He then served in the Apostolic Nunciatures in the Philippines, Belgium, Venezuela, Rwanda and Burundi. In 1976 he returned to Rome to serve at the Secretariat of State on the Council for the Public Affairs of the Church. There he was charged with following the Church in Latin America. 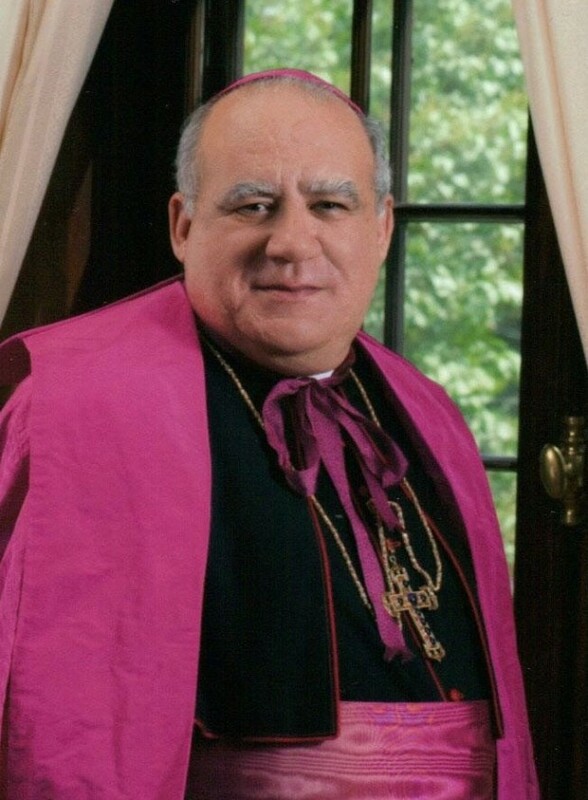 He was appointed Apostolic Nuncio to Haiti on December 17, 1983, and held that position until 1990. His second appointment as Head of Mission was as Apostolic Nuncio to Colombia. 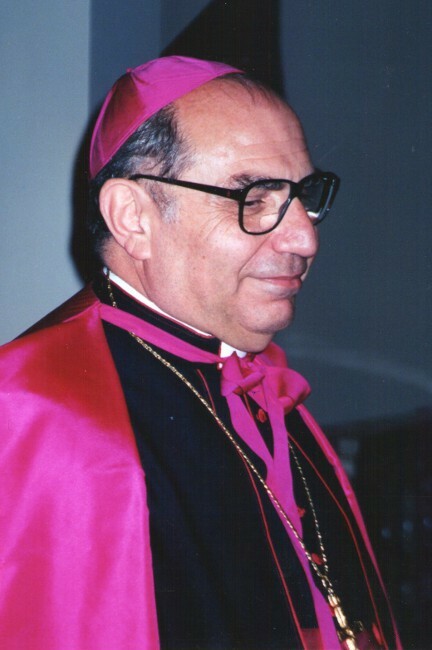 He was appointed Apostolic Nuncio to Canada on February 5, 1999. Arriving in Canada on May 4, he presented his Letters of Credence on May 11, 1999. Born December 9, 1944 in Brescia, Italy. Studied Philosophy and theology at the Seminary of Brescia. Ordained a priest on June 14, 1969 for the Diocese of Brescia. Master of Modern Letters at Catholic University of the Sacred Heart, Milan; Master in Canon Law at Pontifical Lateran University, Rome; Diplomatic Studies at the Pontifical Ecclesiastical Academy, Rome (1975-1978). In 1978, he entered the diplomatic service of the Holy See. He served in the Apostolic Nunciatures in Brazil, Bolivia and the United Kingdom until 1984. From 1984 until 1995, at the Secretariat of State of the Holy See, first as Secretary to the Secretary for the Council for Public Affaires of the Church, and then as Secretary to the Cardinal Secretary of State. During the last five years of this period, in the department for Africa and Latin America. Born in Barbastro, Spain, on July 27, 1953. He was ordained to the priesthood by His Holiness Pope John Paul II for the Archdiocese of Compostella, Spain on June 15, 1980. He entered the diplomatic service of the Holy See on February 10, 1984 and has served in the Apostolic Nunciatures of Madagascar, the Philippines and India. He was appointed Assessor for General Affairs for the Secretariat of State of the Holy See on February 7, 1998. 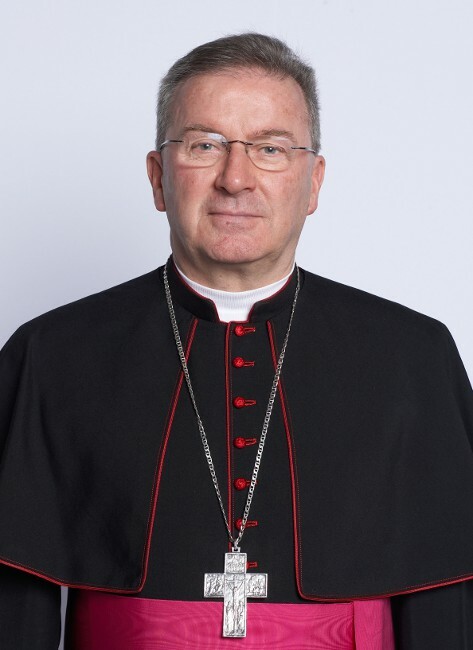 He was appointed Titular Archbishop of Agropoli and Apostolic Nuncio on December 12, 2002, and received episcopal ordination by His Holiness Pope John Paul II on January 6, 2003. He was appointed Apostolic Nuncio to India and Nepal on February 8, 2003. The Holy Father named him Apostolic Nuncio to Canada on December 10, 2009. Arriving in Canada the following February 23, he presented his Letters of Credence on April 28, 2010. He holds a Licentiate in Dogmatic Theology from the Pontifical Gregorian University in Rome, and a Doctorate in Canon Law from the Pontifical University of Saint Thomas Aquinas (the Angelicum). He speaks five languages: Spanish, Italian, French, English and Portuguese. Born in Genazzano, in the Diocese of Palestrina, on December 5, 1836. Ordained a priest on December 23, 1860. Elected Titular Archbishop of Sardis on January 20, 1880 and appointed Apostolic Delegate to Constantinople, consecrated on the following February 2. Appointed Internuncio to Brazil in 1882. On his return from Russia, where he represented Pope Leo XIII at the coronation of the Emperor, he was appointed Nuncio to Portugal. Created Cardinal in petto at the Consistory of December 30, 1889 and published on June 23, 1890, he received the red hat on June 5, 1891, as Cardinal-Priest of San Sylvestro in Capite. He optedfor the Suburbicarian Diocese of Palestrina on April 19, 1900. Archpriest of Saint Mary Major in 1899. Prefect of the Congregation of the Council in 1902. 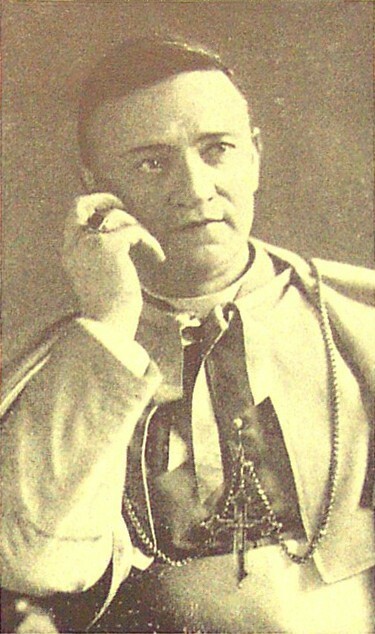 Prefect of the Apostolic Signatura on October 20, 1908. Datarius on December 15, 1914. Papal Legate to the International Eucharistic Congress in Tournai, Belgium in August 1906; Metz, Germany (at that time) in August 1907; London, England in September 1908; Cologne, Germany in August 1909; Montreal, Canada in September 1910 and then the centenary celebrations of Ozanam in Paris, France in April 1913, and of Giovanni Pierluigi da Palestrina in October 1921. Papal Legate to open the Holy Door at Saint Mary Major in 1899 and 1924, and to close it in 1900 and 1925. Dean of the Sacred College on August 19, 1915 and, as such, Prefect of the Sacred Congregation of Ceremonies. On December 6, 1915 he opted for the Diocese of Ostia, of which he took possession on February 6, 1915, while keeping that of Palestrina. 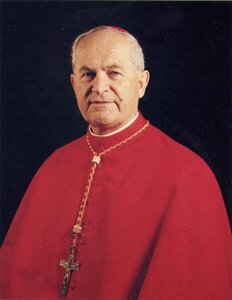 Born in Udavské, in the Diocese of Kosice, Czechoslovakia (now part of the Republic of Slovakia) on March 11, 1924. Studied at the Theological Faculty of Bratislava. Doctorates in Theology, Canon Law, and Social Sciences from the Pontifical Lateran Athenaeum and Pontifical Gregorian University in Rome. Unable to return to Czechoslovakia due to persecution, he was ordained a priest for Rome on March 12, 1949. 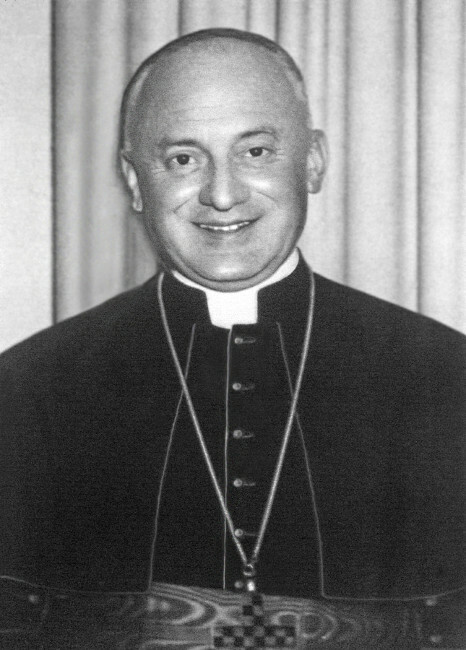 Economous, vice-rector and rector of the Pontifical Nepomucenus College in Rome (1950-1965). In 1962, he entered the service of the Holy See in the Congregation for the Doctrine of the Faith, serving successively as Adjunct in the Book Censorship Section, Adjutant of study, capo ufficio, and Special Secretary. He served on the Faculty of the Pontifical Gregorian University from 1970 to 1978. Appointed Undersecretary for the Congregation for Bishops in 1974. Appointed Titular Archbishop of Doclea and Secretary General of the Synod of Bishops on July 12, 1979, consecrated on the following September 15. Appointed Pro-Prefect of the Congregation for the Evangelization of Peoples on April 24, 1985.